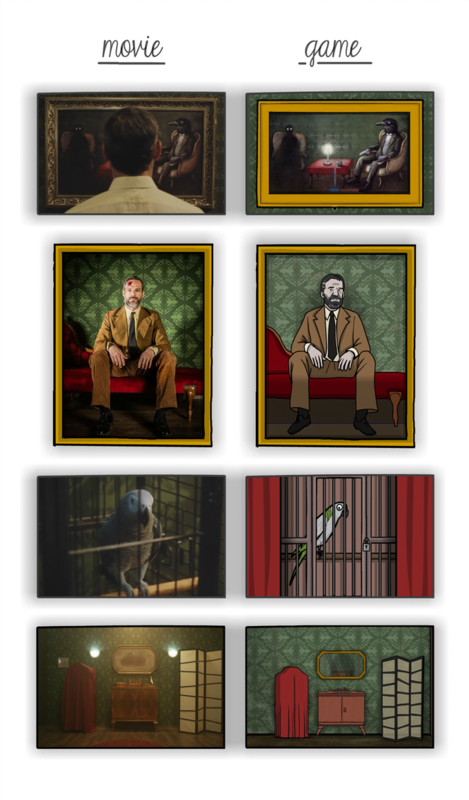 Everybody who knows the escape room games from the Rusty Lake universe, will be thrilled: there will soon be a new game and a short film, too. We already featured a game from this series, today we show you the Kickstarter campaign of the two game developers from Amsterdam. By the way, both have learned completely different professions: lawyer and landscape architect. But that makes the name of the movie “Paradox” somehow more appropriate. The interweaving of different worlds does not stop there, however: The goal of the Kickstarter campaign is not only the creation of a 15-minute short film, but also the tenth part of the Cube Escape series. Game and movie work together. On the comparison pictures alone you can see that a lot of effort has been made to bring both each other as close as possible and still maintain their own style. But that is still not everything: You can, if you support the team on Kickstarter, even be part of the next game! Either for a small amount at least as a name in the phone book or for a little more even with a photo – you will be immortalized! Even a fantastic picture and the elaborately designed Mr. Crow mask are ready for a particularly generous donor. For those of you who have not yet ventured into the morbid and Twin Peaks inspired game series, now is the time: like the Kickstarter campaign, the games are also lovingly crafted with sparkling ideas and a team dedicated to creating a new world. Anyone who wants to get a taste before spending money can do so in detail: All Cube Escape parts are free. The few bucks for the much longer three main games are very fair though. How to make NTFS drives writable under macOS?